The smash-hit, award-winning fringe phenomenon is finally on tour, hitting Komedia Bath this October! The critically acclaimed, award-winning, multi sell-out fringe phenomenon is finally off on a UK tour with their version of A Midsummer Night’s Dream, stumbling onto the Komedia Bath stage on Friday 11th October! Sh*t-faced Shakespeare is the hilarious (and deeply highbrow) combination of an entirely serious adaptation of a Shakespearean classic, with an entirely sh*t-faced cast member. With one cast member selected at random and given four hours to drink before every show, this is classical theatre as it was always meant to be seen; with a gin in one hand, a cup of wine in the other, and a flagon of ale in the other. Outrageously raucous and completely unpredictable, the show has been running since 2010, and has already entertained over 350,000 eager theatre goers across the UK, US, and Australia. 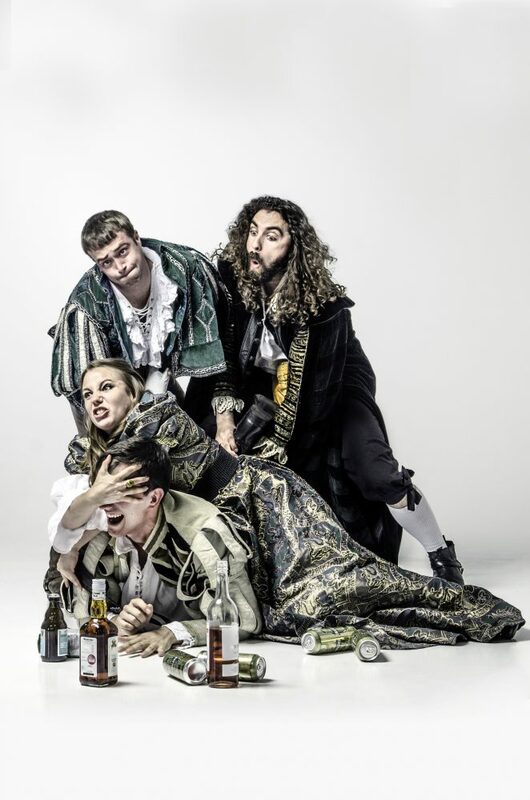 Having successfully completed multiple sell-out runs of the Edinburgh and Brighton Fringe festivals, the ‘Magnificent Bastards’ made their way stateside in 2015 to Boston, and have been enjoying a smashingly successful runs on both sides of the pond since. What could possibly go wrong? Find out at Komedia Bath on Friday 11th October!